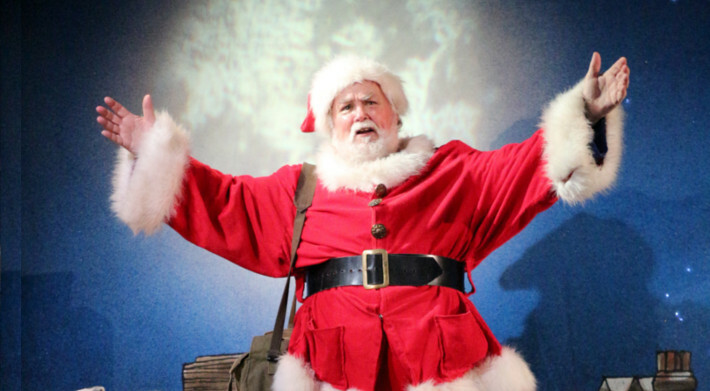 So to get you in the mood for the big day, and take your mind off how many mince pies you need to make for the jolly old carol singers who keep turning up unexpected at home, here is a round up of some of the best Christmas Family Shows in London. Have a look on the BOOK TICKETS PAGE on My Culture Club to what's available to book via yours truly. All events have been hand picked just for you, so you book in one place, and what's more you can use APPLE PAY if you like too - oh! so modern I know. 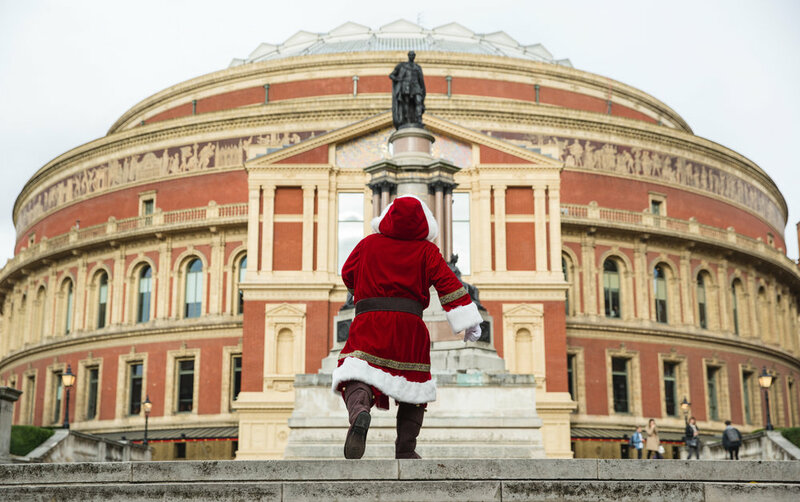 Visit Victorian Santa at the Royal Albert Hall ... treats and presents for all those smalls, that go to bed an hour early for the whole of December! Stick Man : Leicester Square Theatre, (Ages 3+) 5 Nov–30 Dec 2016. Family Ticket Available: 2 adults / 2 children or 1 adult / 3 children. Babes in arms: Under 18 months permitted without a ticket. Running time: 55 minutes. From £16.50 per child & £65 for a family ticket. The Mad Hatters Tea Party, Roundhouse, Camden. Join a Culture Club Trip on SATURDAY 21 JAN AT 2.30PM. (All Ages). RUNNING TIME : 2hr20mins. Tickets : Adults £24 for those aged 16+. Child £18 for children aged 16 and under. Family Discount: £65 4 full price tickets for parties of 2 adults and 2 children, or 1 adult and 3 children. The Very Hungry Caterpillar Show : Ambassador’s Theatre, (Ages 2-7) 2 Dec 2016–8 Jan 2017. From £ 26.50 + fees. NOTE : Babes in arms, aged 12 months or under, will be permitted access to The Ambassadors Theatre without a ticket for performances of The Very Hungry Caterpillar. Babies must be securely strapped to their parent or carer by way of a baby carrier, sling, papoose or similar. Cinderella, Chiswick House & Gardens, Runs Dec 16th to Dec 31st. From £30. Brought to you by Humdalila Productions, specialists in Immersive Theatre, this thrilling version of the classic tale combines an eclectic mix of first-class performers. Expect dancing mice, acrobatic lizards, ballerina snowflakes and a crazy magician. Arrive early for the full experience. Children can have their faces painted, interact with amazing balloonists and much more. Adults can enjoy a stress-free drink at the fully licensed bar and the family can all enjoy a variety of snacks and Christmas goodies from the stalls inside the Big Top. A Magical Stick Man Screening & Show, Enjoy songs and storytelling with Julia Donaldson and live illustration from Axel Scheffler followed by the award-winning animated film of Stick Man on the big screen. Royal Festival Hall, (Ages 5-8) Thursday 22 December 2016. Prices vary. HOW ABOUT A CRAFT WORKSHOP AT THE LITTLE ANGEL THEATRE? 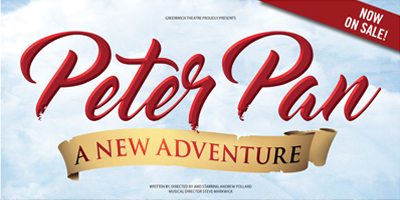 Peter Pan Goes Wrong : Apollo Theatre, (Ages 8+) Runs until 29 January 2017 ( Running Time : 2 hrs with one interval). Tickets from £35 BOOK ON CULTURE CLUB and join a lovely group ... there might be goody bags too! The Nutcracker : The Royal Opera House, (Ages 5+) Runs until 12 January 2017 (RT, 2 hrs and 15 mins with one interval). Pretty much sold out, or remaining tickets expensive around the £135 mark when I last looked. Email me if you want me to search out what's available for you. 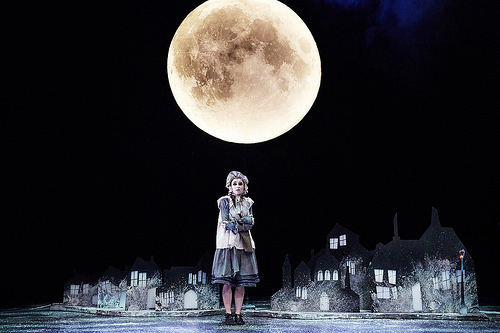 Duckie : Royal Festival Hall, (Ages 6+) Southbank, Runs 16 Dec–24 Dec. Tickets from £14 + fees. 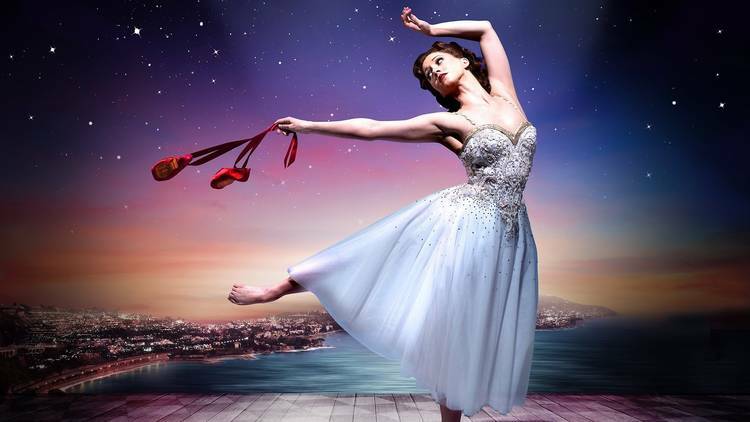 The Red Shoes (Matthew Bourne Ballet) Sadlers Wells, Runs 6 Dec - 27 Jan (RT' 2 hrs). From £35 for stalls. Kiki's Delivery Service, Southwark Playhouse SE1, Runs Dec 8th to Jan 8th. From £16 kids and £64 for a family ticket. The Nutcracker, London Coliseum is on a UK Tour now, and arrives in London 14 Dec 2016 – 7 Jan 2017 (RT' 2 hours 15 minutes including 1 interval). Up to two children (under 16) can attend half price with every full paying adult. Children under 5 are not allowed in the auditorium, except at Family-Friendly Performances. TICKETS range from £88+ and are selling fast. FAMILY-FRIENDLY PERFORMANCES Tue 3 Jan, 2.30pm & Sat 7 Jan, 2.30pm Children under 5 may attend these performances, and up to two children under 16 can go free with each full paying adult. If you would like me to book your tickets for you, Please email me with the details of which show, date & preferred time (matinee or evening) and the number of children & adult tickets required. I will find the best deals, and take care of it all for you! sian.gwilliam@me.com or 07958 385 929.